The Mosquito earned its reputation in a number of different roles, as a rocket firing fighter bomber, as an anti-shipping striker with coastal command, and as a radar equipped night fighter. The most unusual aspect of this aircraft, however, was that it was constructed almost entirely of wood and because of this the Air Ministry did not immediately recognize its potentialities, when it was developed by De Havilland in 1940. 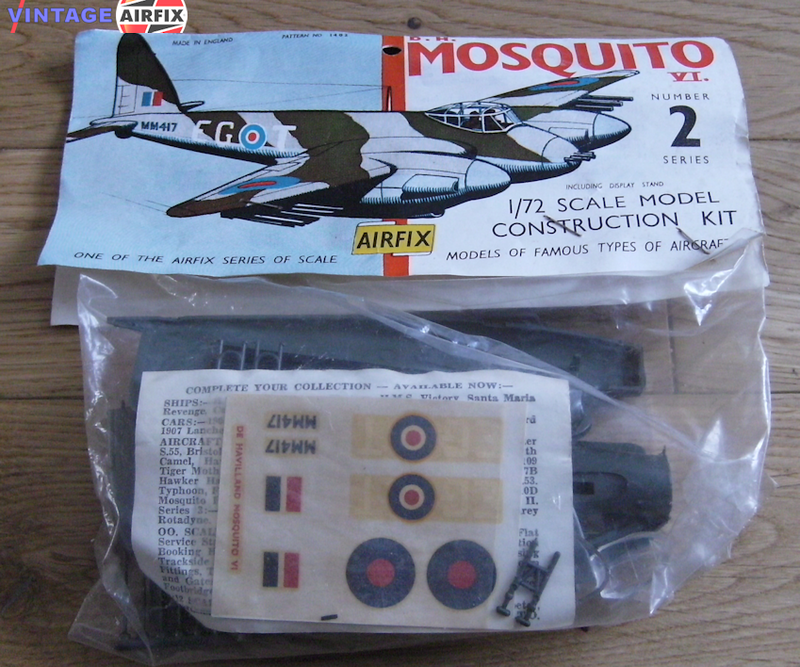 This Airfix kit has 48 parts and makes into a 9 inch wingspan model based on a rocket carrying aircraft of number 487 Squadron as flown in 1943.